Prominent & Leading Manufacturer from Anand, we offer Nursery Pots and Bags such as Nursery Bags and Nursery Pots. We are offering our clients a wide assortment of Nursery Bags. 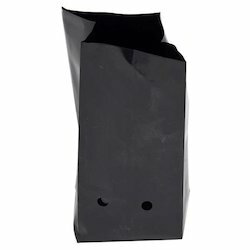 These nursery bags are used for keeping plants with manure or sand & come in black color. Looking for Nursery Pots and Bags ?